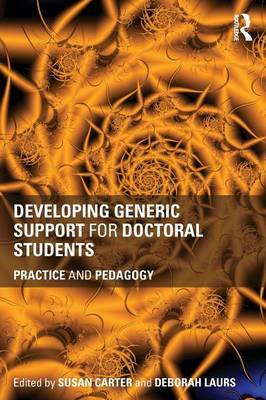 This multidisciplinary, multi-voiced book looks at the practice and pedagogy of generic, across-campus support for doctoral students. With a global imperative for increased doctoral completions, universities around the world are providing more generic support. This book represents collegial cross-fertilisation focussed on generic pedagogy, provided by contributors who are practitioners working and researching at the pan-disciplinary level which complements supervision. How is generic support funded and situated within institutions? Should some sessions be compulsory for doctoral students? Where do the boundaries lie between what can be taught generically or left to supervisors as discipline-specific? To what extent is generic work pastoral? What are its main benefits? Its challenges? Its objectives? Over the last two decades supervision has been investigated and theorised as a teaching practice, a discussion this book extends to generic doctoral support. This edited book has contributions from a wide range of authors and includes short inset narratives from academic authorities, accumulatively enabling discussion of practice and the establishment of a benchmark for this growing topic.